SIMFEROPOL (Sputnik) — Kremlin aide Yury Ushakov said on Tuesday that Saudi King Salman bin Abdulaziz Al Saud would visit Russia on October 5. According to the information obtained by Sputnik the program of the visit includes a meeting with President Vladimir Putin and the signing of a set of agreements. Oleg Morozov, CEO of the Crimea Development Corporation, said that Saudi Arabia would be likely interested in four of the numerous Crimean development project priority areas. "I would suggest four areas for Saudi investors, primarily the sanatorium and resort sector, which needs to be modernized and which is attractive to many foreign companies," Morozov said. According to Morozov, another area that could be interesting for Saudi investors is the Northern Crimea energy and desalination system. Considering that water supply is pertinent for Saudi Arabia, Saudi experts and their Crimean counterparts could jointly propose and develop innovative solutions. "There is also an attractive project for the building of a yacht marina on the Black Sea coast, and the final area for potential Crimean-Saudi cooperation is the processing of agricultural products," Morozov said. Crimea would welcome Saudi investments in the development of the agriculture industry, Yaroslav Mikhailov, Crimean Deputy Agriculture Minister, said. "This investment may have a promising future because Crimean agriculture is actively developing and is supported by the government. We may also cooperate in grain and flour deliveries," Mikhailov said, adding that this year Crimean farmers harvested 1.7 million metric tons of superior-quality grain, which can be used to produce flour of a high quality. "I believe that grain exports could be the most promising part of our cooperation with the Kingdom of Saudi Arabia," the deputy minister said. Hundreds of Crimean Muslims make a pilgrimage to Saudi Arabia every year, but their travel is complicated by the lack of direct flights from Crimea to Saudi Arabia, Zaur Smirnov, head of the Crimean Government’s Committee for Ethnic Relations, said. "Since the number of Crimean pilgrims is growing, it would be reasonable to launch direct charter flights and also open a Saudi Embassy’s visa center in Simferopol, at least for the periods during which groups are formed for pilgrimage," Smirnov said. 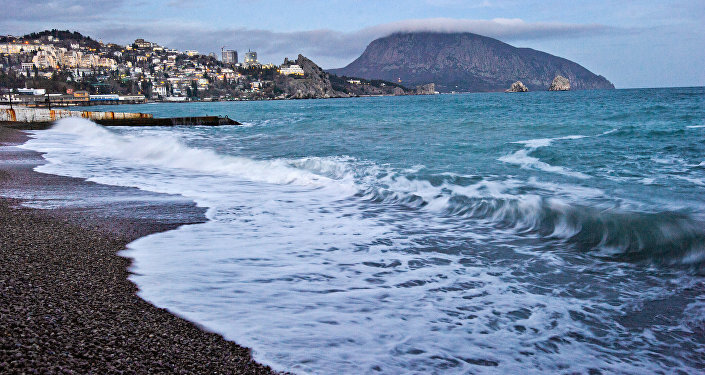 Tourists from all over the world come to Crimea, drawn by affordable resorts and medical services, as well as natural attractions, and Saudi Arabia should not be an exception, the Crimean Parliament's Committee on Health-Resort Complex and Tourism Alexey Chernyak said. "We are ready to welcome groups of tourists from Saudi Arabia, who will be impressed by the diversity of attractions to fit every taste in Crimea. Our guests will not be bored," Chernyak said. He added that Saudi business people had considered several investment projects in Crimea before and that the time has come to give these projects a new impetus and to move from intentions to implementation.